The Museum of Performance + Design received support from the National Endowment for the Arts (NEA) to digitize, catalog, and make available online for broad public access dance images from the Henrietta McDowell, Chester Kessler, Bob McLeod, and Katherine Kahrs photographic collections in The Elyse Eng Dance Collection at the Museum of Performance + Design. This project will preserve and provide open access (summer 2018) to 2,500 images of live dance performances in the San Francisco Bay Area from the 1940s to the 1990s, highlighting the unique holdings in the MP+D collection and the extensive and significant character of its dance photographies. MP+D is one of nine dance projects in San Francisco to be funded this year through the NEA's flagship grant program, Art Works. From the late 1950s to the mid -1970s, Henrietta McDowell was the official photographer for San Francisco Ballet. Nearly every ballet performed by the company in that period of time was photo-documented by her. The 10,000 negatives, slides, and prints in McDowell's collection not only offer extensive documentation of the activities of San Francisco Ballet, but also other local dance companies and ballet schools. 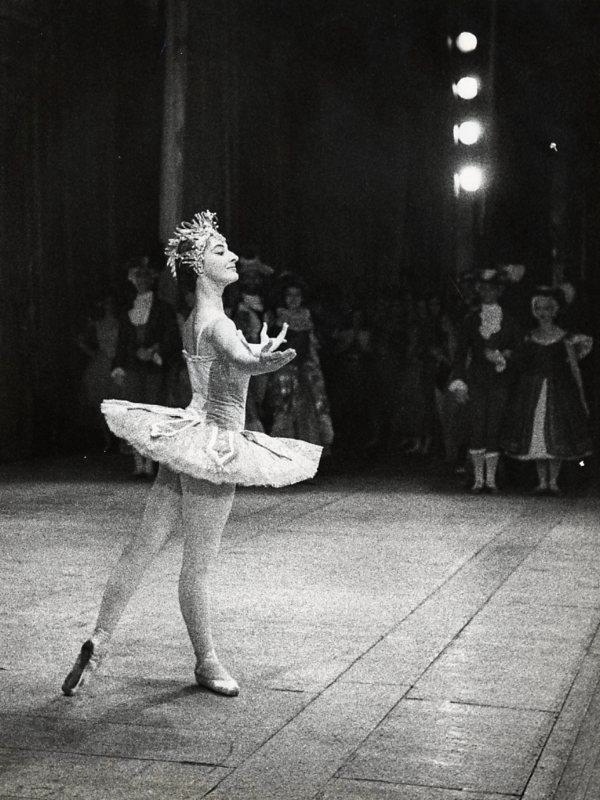 Highlights include photos of rehearsals and performances by guest artists Maria Tallchief, Margot Fonteyn, and Rudolf Nureyev; television performances of Beauty and the Beast (1966); and the participation of John McFall and Michael Smuin in the Choreographers' Workshops held between 1960-73. Performances given by Carlos Carvajal's Dance Spectrum during the seventies are also documented along with San Francisco Ballet School and Ballet Celeste. Chester Kessler was a student of Minor White’s photography program at the California School of Fine Arts. In the 1950s, he was a part of San Francisco’s North Beach scene, photographing Beat writers, poets, and artists, including Allen Ginsburg and James Baldwin. During the late 1950s and the early 1960s, he photographed and documented performances of postmodern dancer Anna Halprin and San Francisco Dancer’s Workshop. His collection at MP+D contains approximately 1,500 photographs, negatives and transparencies of important dancers and dance companies including such notables as George Balanchine, Ruth Beckford, Carlos Carvajal, Lew Christensen, Anna Halprin, and Welland Lathrop. Bob McLeod was a Pulitzer Prize-nominated photographer who worked for The San Francisco Examiner and San Francisco Chronicle for nearly forty years, although his favorite subjects to photograph were ballet dancers. His dance photographs were featured not only in the Chronicle and Examiner but national publications as well. His collection of over 6,000 prints, negatives, and slides predominantly contains San Francisco Ballet productions and its dancers from the 1980s – 1990s, but also includes other local dancers and companies such as Oakland Ballet and photographs of international ballet superstars such as Mikhail Baryshnikov, Gelsey Kirkland, and Rudolf Nureyev. Katherine Kahrs graduated from U.C. Berkeley with an M.A. in studio art prior to studying photography. She worked as a freelance dance photographer from 1982 to the early 2000s, photographing numerous smaller or emerging dance companies. Her collection contains over 1,500 prints, slides, and negatives of companies and dancers such as Alonzo King LINES Ballet, Eiko and Komo, Tance Johnson, and San Francisco Moving Company.